Scene 8 (37:00-40:23): deadheading – Scene 17 (1:39:16-1:45:17): the Pan Am promo tour – Scene 17 (1:39:16-1:45:17): come fly with me, Air America! 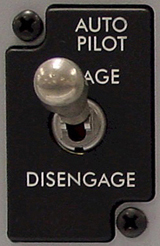 It happened as you see in the movie: although Abagnale acted as a pilot, he didn’t actually fly any planes, he just “deadheaded”. Abagnale explains the practice in his book “Catch Me If You Can” (on page 34) in a talk with another pilot. 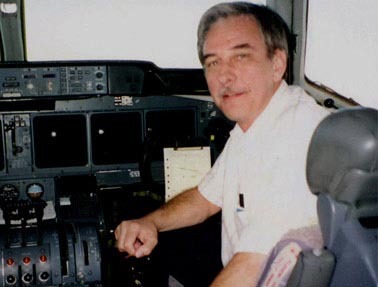 Once, he took the controls but promptly flipped on the autopilot. 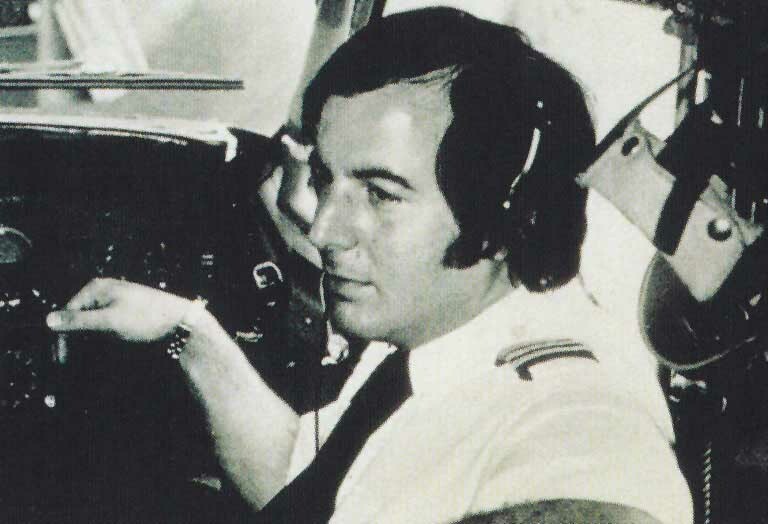 Pan Am’s estimate was that Abagnale “deadheaded” on some 250 flights, flew over 1 million miles to 26 countries at their expense between the age of 16 and 18. When traveling, he stayed at hotels and had Pan Am even billed for his food. 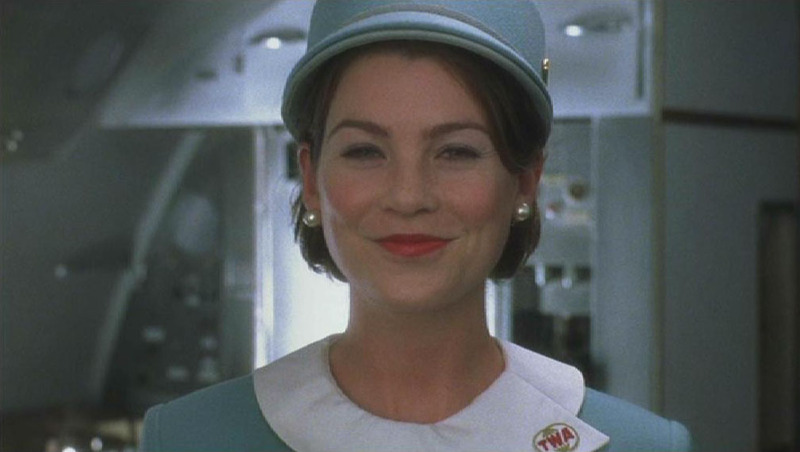 The TWA stewardess Marci he seduces in the airplane is actress Ellen Pompeo of later “Grey’s Anatomy” fame. 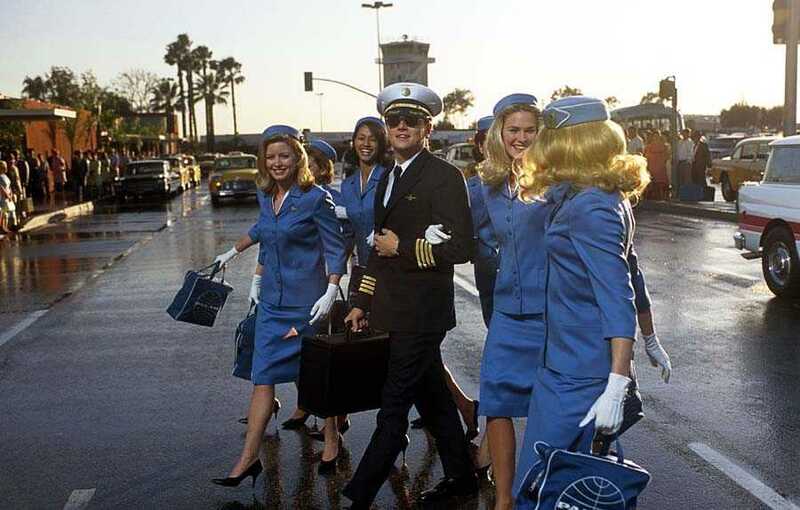 Abagnale really did go on a “promotional tour” (scene 17, 1:41:30-1:44:30) for Pan Am with 8 girls he had interviewed at a school and promised a shot at becoming a Pan Am stewardess. All expenses paid by Pan Am and some $300,000 extra pocketed by Abagnale with phony company expense checks. His book “Catch Me If You Can” describes the affair in detail on pages 140 to 157. Hanratty-O’Riley got onto that scam too! The girls did hear from Pan Am, as a matter of fact. After three months of a steady stream of photographs, from dozens of European cities and all showing the same eight girls in Pan Am stewardess costumes, advertising executives of Pan Am launched an investigation. Eventually, the entire matter ended up in O’Riley’s hands and he deftly sorted it out and put it into focus for the carrier’s officers and also for the girls. Ouch! We’ll leave that kind of language for the HBO series “Deadwood”, shall we? Here’s a funny coincidence: that series prominently features the Australian actress Margot Robbie, who recently played the trophy wife of — drumrolls, please! 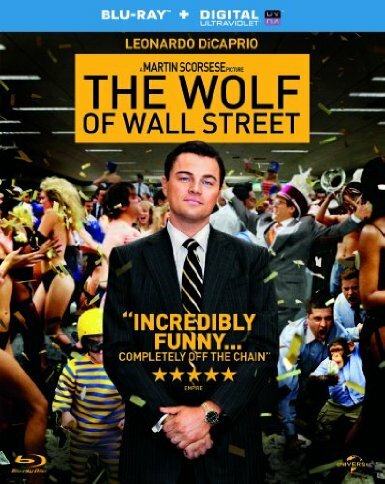 — Leonardo DiCaprio in Martin Scorsese’s movie “The Wolf of Wall Street”. Shall we conclude that this air hostess got her pilot in the end? Scene 17 (1:39:16-1:45:17): Come Fly with Me, Air America! Back to the promo tour. One part of this Abagnale episode at the University of Arizona remained unknown until recently: Abagnale tried to recruit a pilot for Pan Am as well! Enter Captain Paul J. Holsen II, who had been flying for Air America — a front company for the C.I.A., no less — in the 60s but was on leave at the University of Arizona at the wrong moment. The Dean asked him to meet Pan Am representative Abagnale for a pilot position. And so he became the only male to attend Abagnale’s recruitment effort that day! 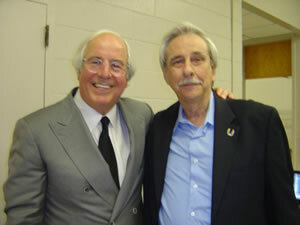 The girls thought he wanted to become a purser, but he was interviewed by Abagnale for a half hour. When he called the Pan Am head office in New York three weeks later as agreed to fix a follow-up meeting, he was baffled to be referred to an F.B.I. agent from Tucson.